Genesee Valley Rural Preservation Council, Inc. (GVRPC, Inc.) is a fully independent, not-for-profit corporation, established in 1982 to carry out housing development, property management and related services in western New York. To promote and to disseminate public information regarding the common good and general welfare by bringing about civic betterments and social improvements, improving housing stock and promoting neighborhood redevelopment throughout Livingston, Wyoming, Genesee and Chemung Counties. To plan, construct, operate, maintain, improve, preserve, repair and upgrade housing and related facilities and services for elderly persons, disabled persons and persons of low or moderate income. To engage in housing preservation and community renewal activities pursuant to Article XVII of the New York Private Housing Finance Law or pursuant to any other similar legislation or regulation. 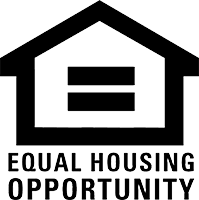 To serve as an eligible sponsor under the Rental Assistance Program for Rural Areas pursuant to Article XVII-A of the New York Private Housing Finance Law or pursuant to any other similar legislation or regulation.